Knowing what is covered by your Government Health Insurance Plan (GHIP) is extremely important in determining whether you do or don’t decide to cover yourself with private health insurance. In this article we’ll focus on government coverage for Ontarians, otherwise known as OHIP. There are plenty of options when it comes to private health insurance. Depending on the product, health and medical insurance plans can cover your prescription drug costs, dental bills, emergency transportation, and even extra hospital costs such as a semi-private room. Navigating these options however can be a difficult task. However, before arriving at any sort of solution or product understanding what is and isn’t covered by your government health insurance plan, particularly if you don’t have an employee or group benefit plan is vital. 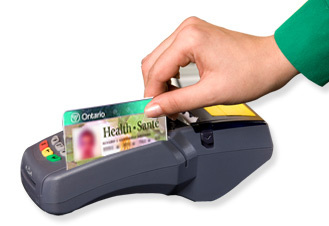 The Ontario Health Insurance Plan (OHIP) is funded by taxes paid by residents and businesses of the province as well as by transfer payments from the federal government. Each Ontario resident with his or her primary and permanent home in Ontario is entitled to access emergency and preventive medical care under OHIP free of charge. Ontario residents may go to a participating doctor and the services are billed through OHIP to the government. If you’re new to Canada, then there is a 3 month waiting period for your OHIP coverage to take effect. This will apply to most new residents and former residents returning to the province. Physicians – The ministry will cover all necessary medical services carried out by physicians. Other health care providers – Podiatrist services are partially covered. Dental services – partial payments for some dental surgery if done in a hospital. Eye care – eye exams for those under 20 and over 65 and one major eye exam every 12 months for those 20-64 who have medical conditions requiring regular eye exams. Some physiotherapy may be partially covered or not at all. Necessary emergency medical treatment obtained outside of Canada is only covered on a very limited basis; it is highly recommended to have travel insurance coverage if traveling outside of Canada. In an upcoming article month we’ll take a deeper look into your options in the marketplace if you’re seeking coverage in the areas where OHIP or your employee benefits fall short.